What is SKIP CITY INTERNATIONAL D-Cinema FESTIVAL? 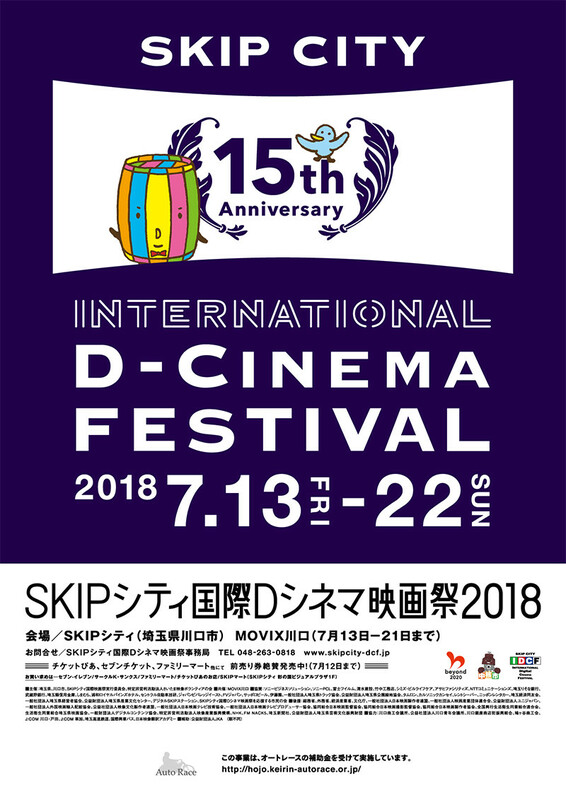 Established in 2004 in Kawaguchi City, Saitama Prefecture, SKIP CITY INTERNATIONAL D-Cinema FESTIVAL accepts submissions from all over the world, with high entertainment value that push the envelope of the digital medium. By discovering new talent, we hope to develop a new type of audio visual industry. Our festival was one of the first international competitive film festivals to exclusively feature digital cinema, which has now become the standard format for motion pictures. This year we celebrate our 15th anniversary and we remain committed to discovering and new talent, with the aim to help these filmmakers seize new business opportunities that have arisen in the changing landscape of the film industry. For the 15th milestone edition, the festival has renewed its competition categories to further serve its goal of becoming a gateway to success for emerging talent. The films will compete in two sections in three categories, the International Competition, the Japanese Film Feature Competition and the Japanese Film Short Competition. This year, we have received 832 submissions from 98 counties and regions, the highest number for the countries of origin. The jury members will consist of esteemed domestic and international industry professionals. After preliminary judges nominate the first round of nominees, the official jury members will announce the winners and give out awards on the last day of the festival. In addition, the SKIP CITY AWARD is given to a Japanese filmmaker who displays promising talent for feature filmmaking. Moreover, we invite domestic and international industry professionals from all over the world to participate in the festival and network with the festival participants and audience members. Aside from the competition categories, the festival will present milestone-worthy special programs. For the Opening Film, Running Again, a brand-new film produced by the host city of Kawaguchi will have its world premiere. In addition, the festival will present 15th anniversary special programs featuring films by directors from Saitama Prefecture, documentaries on great directors from all over the world, films designed for families to enjoy, and VR works, which has become a very popular digital genre in recent years. After screening their films at our festival, many of the festival graduates have gone on to build careers in and out of Japan. Looking at international cinema, Nuri Bilge Ceylan, who won the Grand Prize with Climates in the 2007 edition of our festival, scored three consecutive wins at Cannes Film Festival for Best Director with Three Monkeys (2008), Grand Prix with Once Upon a Time in Anatolia (2011), and Palme d'Or with Winter Sleep (2014). In addition, after premiering at our festival, Simple Simon, the winner of the Special Jury Prize in the 2011 edition, and Matterhorn, the winner of Grand Prize in the 2014 edition, Out of My Hand, which scored a nomination in the 2016 competition, were released theatrically in Japan and became box office hits. Regarding Japanese cinema, Kazuya Shiraishi, who won the SKIP CITY AWARD in the 2009 edition with Lost Paradise in Tokyo, has directed critically acclaimed films including his latest The Blood of Wolves (2018), emerging as one of the best directors in Japanese cinema. Ryota Nakano, who won the Best Director and SKIP CITY AWARD in the 2012 edition with Capturing Dad, directed Her Love Boils Bathwater (2016), which picked up several domestic awards and won 6 categories at the 40th Japan Academy Film Prize, including Best Actress. Yuichiro Sakashita, who won the Special Jury Prize with Kanagawa University of Fine Arts, Office of Film Research in the 2013 edition, made his commercial debut with Any Way the Wind Blows (2016) and directed three films within a year in addition to his latest Pinkerton ni aini iku (2017). Many talented festival graduates were able to seize opportunities after screening their films at our festival. We continue to discover and nurture new and yet unknown talent with challenging spirit and expect them to spread their wings around the world.